Want to get pleasure from natural rainbow colors? But you don’t want wait for rain. By knowing science you can. In this home experiment, we are going to make a rainbow on a paper by applying the same principle that a real rainbow follows. Except that, our homemade rainbow won’t be an arc. Fill the frying pan with water. Clean the surface of the mirror and place it in the pan at an angle below the surface level of the water. Place your pan in sunlight, such that sunlight falls on the surface of the mirror. 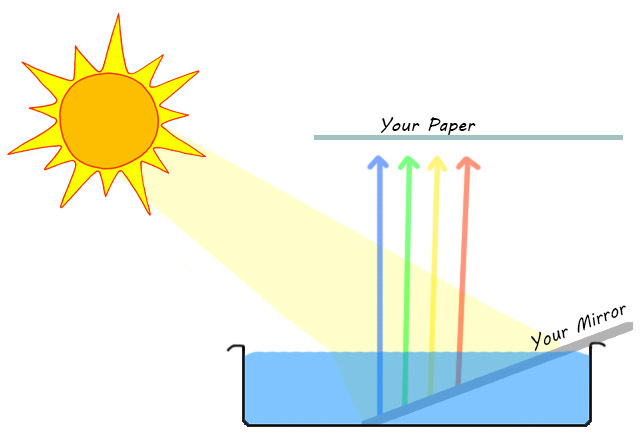 Hold a white paper above the pan to catch the reflected rays of the mirror. If your setup is correct, then you should be able to watch rainbow colors on paper. If not, try to change the angle of the mirror in the pan until you see colors. I have taken some picture on my paper and on my hand. When you shine sunlight on the mirror, light first enters into the water and refracts (bends). Since sunlight is a mixture of visible colors each color has its own frequency and wavelength. 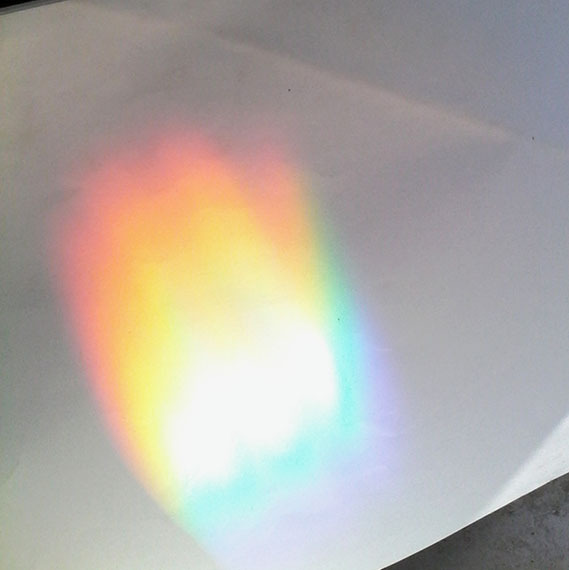 So, these colors refract at different angles and get separated from each other. These separated colors are reflected from the mirror on the paper. Try using a large mirror in the water tub and note the results. Does it affect the formation of the rainbow? 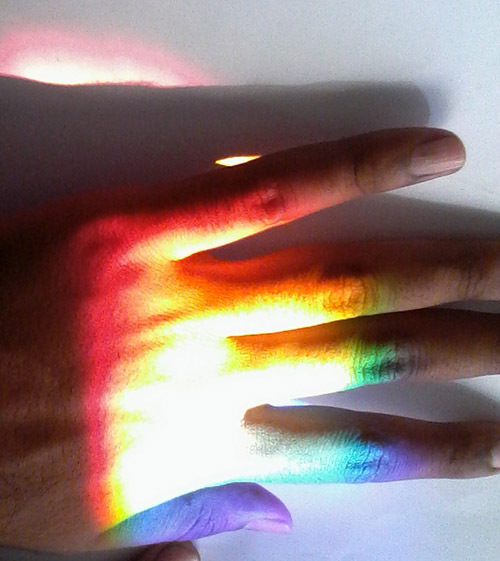 Abdul Wahab, "How to Make Rainbow on Paper," in Science4Fun, April 13, 2019, http://science4fun.info/how-to-make-a-rainbow-on-paper/.